What do orchids look like? They are technically a perennial herb because they lack woody stems – instead most grow from a structure called a pseudobulb. You may already be familiar with them as popular plants with colourful and often fragrant flowers, used in floral arrangements and highly sought after by collectors. 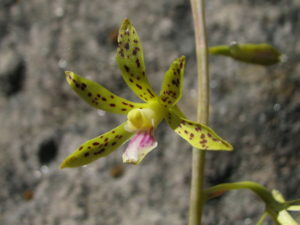 Orchids are widespread and very diverse. They occur all across the globe – except Antarctica – most are found in the tropics. With over 21 000 species some botanists consider them to be the largest family of flowering plants. For those who don’t know, the Queensland floral emblem is the Cooktown Orchid. 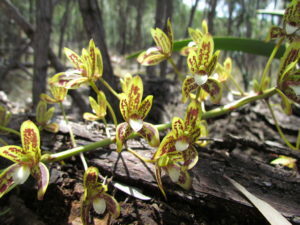 Where do orchids grow locally in Roma and the Maranoa Region? The two main types are epiphytes/lithophytes, which grow on trees or rocks. And terrestrial, that grow in the ground. The epiphytes/lithophytes are mostly found in higher rainfall areas (e.g. rainforests). 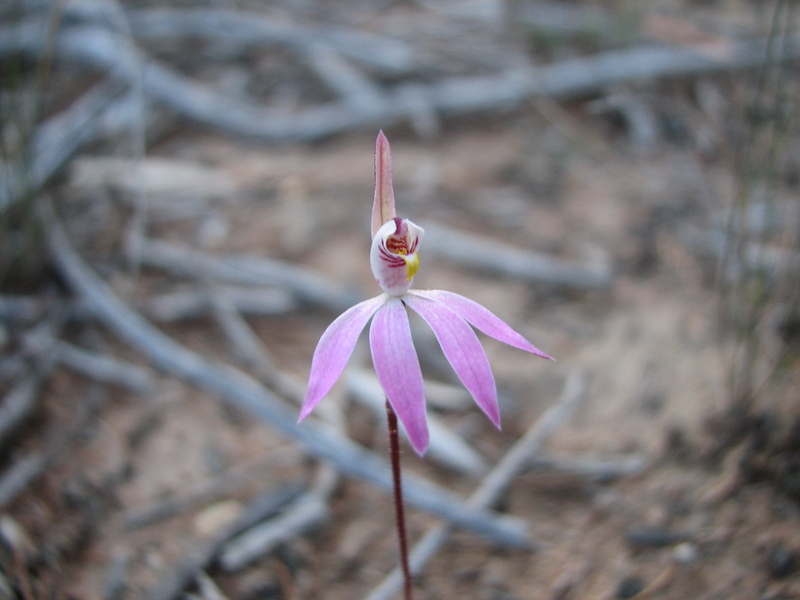 But because the majority of our climate is dry, 82% of Australian orchids are terrestrial – so most species occur in open habitats of grasslands, heathlands and open forests. However, the most commonly seen species in Roma and the Maranoa is the Black Orchid (Cymbidium canaliculatum), which grows on trees and is recognised by its stiff, green, linear leaves and mottled green and brown flowers. If most Australian orchids are ground species, why are they less seen? Ground orchids are different to the classic epiphytic types, because most are deciduous and can stay dormant underground. To avoid the harsh effects of our seasonal wet-dry climate, they die back to an underground fleshy bulb-like structure. For most of the time they are not visible above ground, which makes them harder to spot. Spring and summer with rain permitting are the best times to look for them when they reshooting and in flower. Are native orchids endangered or protected in the wild? Yes, sadly there are a number of threatened species, due to rarity, habitat loss and from people collecting them. In Queensland all native orchids are protected by law, so if you want to grow native species, it’s best to source them from nurseries or authorised collectors. This is important because some species in the world have been pushed to extinction by orchid hunters. How would I look after an orchid that I bought? Start by researching the type of orchid you have – epiphyte vs. terrestrial. Check what mixture they are growing in – epiphytes like coarse mixes. They like warmth – keep them in a green house or bring indoors for winter. Regular watering – saturate the roots and growing medium but make sure the water has drained away as they don’t like wet feet for long. Rewater once the roots and medium are dry – this may vary from daily in hot areas, to fortnightly in colder climates. Apply a weak solution fertiliser once a week to encourage flowering each year.